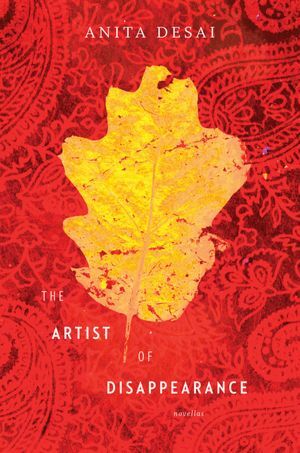 In three short novellas, under one cover in The Artist of Disappearance, Anita Desai addresses a missed opportunity, a craving for recognition, and finally, the wish to be left alone. Her clear flowing language reminds me of Jhumpa Lahiri, author of Interpreter of Maladies. Like Lahiri, Desai’s stories are all set in India. In the first novella – “The Museum of Final Journeys” – a government official describes his year of field service in a rural district when he was shown a museum of forgotten treasures. The caretaker pleas for the government to take over their care and preservation. In the second – “Translator, Translated” – Parma, a middle-aged English literature professor with aspirations to be a writer, meets a successful schoolmate, turned publisher, at a class reunion. Parma uses her new-found connection to get a job translating a book written in her childhood dialect. Unfortunately, she gets carried away, rewriting rather than translating. In the final story – “The Artist of Disappearance” – Desai describes the life of Ravi, from his lonely childhood to his hermit existence, living in the burnt ruins of his formerly posh family home. Ravi only wants solitude, and creates a hidden garden glade that is inadvertently discovered by a group of film students, on a field project to document the destruction of the hillside by miners. Despite the ravaging of the world around him, Ravi escapes notice and preserves his peace. Although Desai has written novels, I have not yet discovered them, but may now seek them out. I finished these three short novels within hours, but found myself rereading them – each story having a piece that resonated with me. Desai’s genius is in revealing hidden torments, and exposing them to possibilities. This entry was posted in authors, book review, books, reading and tagged Anita Desai, Artist of Disappearance, English literature, India, Interpreter of Maladies, Jhumpa Lahiri, Translation. Bookmark the permalink. I have read only one of Desai’s books, The Inheritance of Loss. It was wonderfully evocative of time and place, but a somewhat depressing read. Lately, I can only take despair in small doses. Thanks for the tip.